Today the DoJo update their site with a new entry called “Four Kinds of Control”. 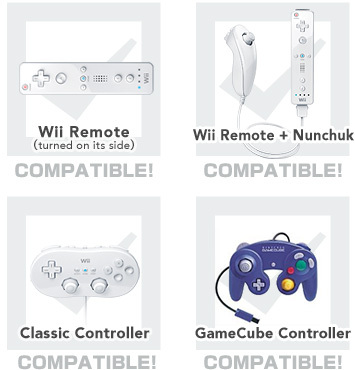 The entry describes that Brawl will support all four controller configurations, Masahiro Sakurai suggest the GameCube will have the best features to offer thou. He also says that if he has time he will try to explain how the lone Wii-remote will work. This entry was posted on Friday, June 8th, 2007 at 11:58 am and is filed under Nintendo. You can follow any responses to this entry through the RSS 2.0 feed. You can leave a response, or trackback from your own site.